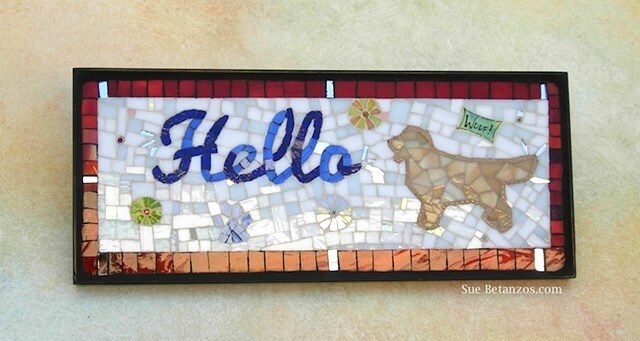 This is a custom order listing for a Glass Mosaic sign. Prices vary with size. Larger glass mosaics will be more. A video clip of this mosaic is on my Flickr page. Glass mixed media mosaic in a metal frame. Ready for indoor or outdoor hanging. ***Shipping is USPS or Fedex. ***The shipping cost is estimated by location and added to the total cost when the mosaic is finished.